The first book in the new series from Papercutz just came out. The series is simply called "Disney Graphic Novels" and doesn’t seem to be tied to any particular theme, character or series of comics other than being under the Disney logo. 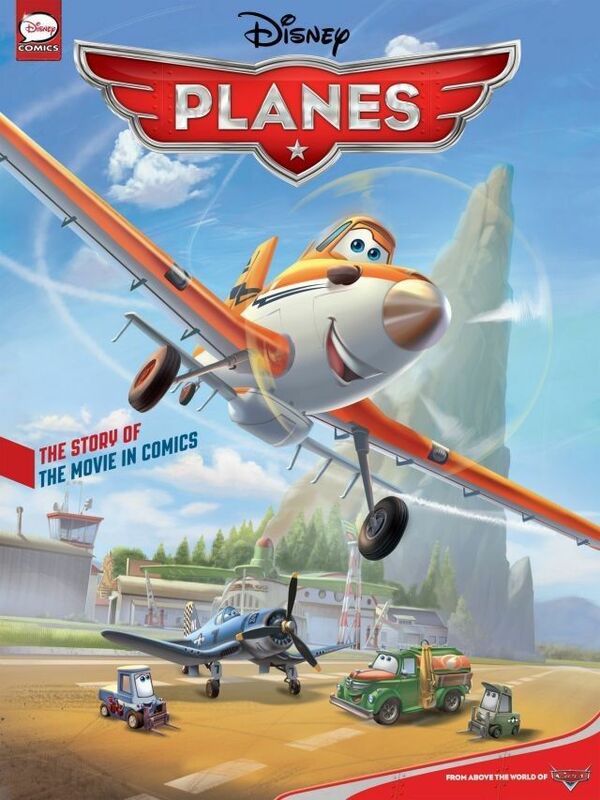 The first book is a comic adaptation of the movie Planes from DisneyToons Studios. The movie is a spin-off from Cars and was originally intended as a direct-to-video movie like most DisneyToons movies. 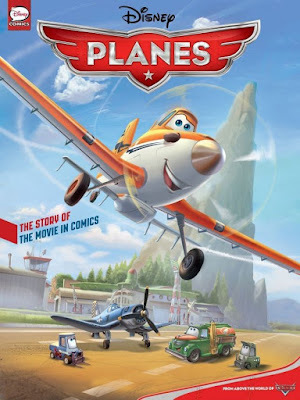 But as it got a theatrical release I guess some people had high expectations thinking it was a new Pixar masterpiece, and the result was a lot of negative reviews. I though the movie was okey though, I don’t really have any negative to say about it. Still, I can’t say I find this comic adaptation that interesting, but that goes for most new movie adaptations I guess. 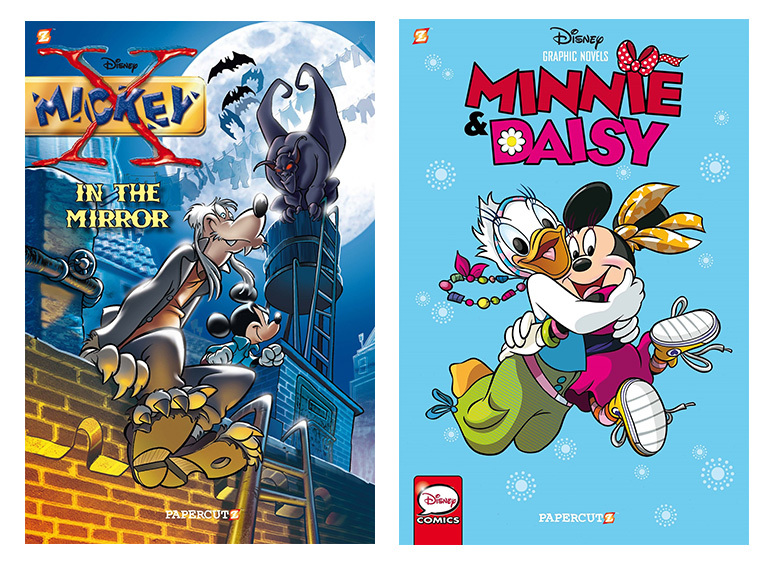 When I was a kid I used to love them, they used to come as an attachment to the weekly comics in Norway. And that’s where I got to know the story of the movies for the first time. Now days I watch the moves first and the comic adaptations seems a bit pointless. But at least they are a lot better than the line if "cinestories" that Joe Books are currently publishing. They consist of thousands of screengrabs from the movies with speech balloons inserted, and are completely useless in my opinion. The Planes book from Papercutz is available in both hardcover for $12.99 and in a paperback edition for $7.99. But a digital version of the same story (in English) has been available for two years on comiXology. And the digital version is only $3.99. 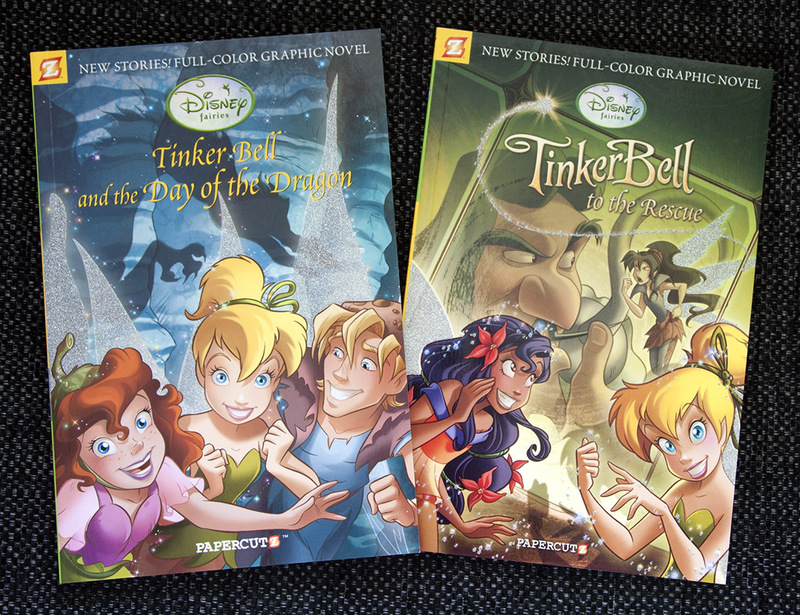 So the first volume in the new Papercutz series doesn’t really bring anything new on the table. Personally I’d rather see this adaptation collected in a new 800 page monster book from Joe Books! 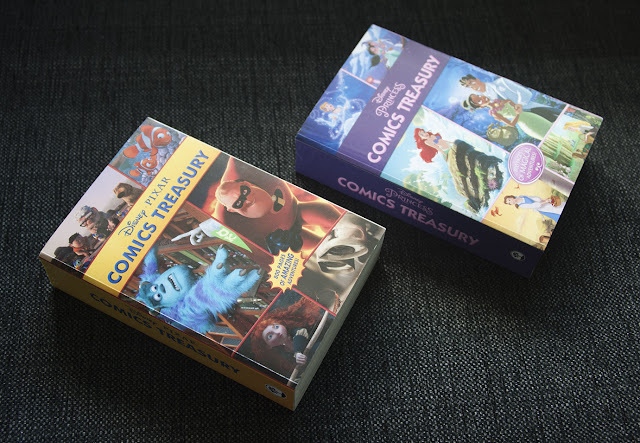 In contrast to the cinestory books from the same publisher, I really liked those collections! 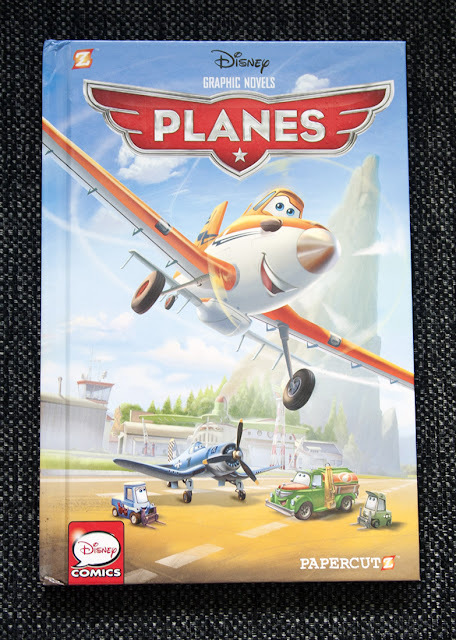 But to get back on the Papercutz series… In the back of the Planes book they are announcing the next books in the series. #2 will be X Mickey, #3 will be Minne & Daisy BFF, #4 is a secret (they probably don’t know yet) and #5 will be a new Planes book. #2 and #3 are already listed on Amazon with release dates March 29, 2016 and July 5, 2016. The dates can still change, but it doesn’t look like there’s going to be more than 3-4 books a year. If you are in need of more comic stories based on Planes, they do exist! 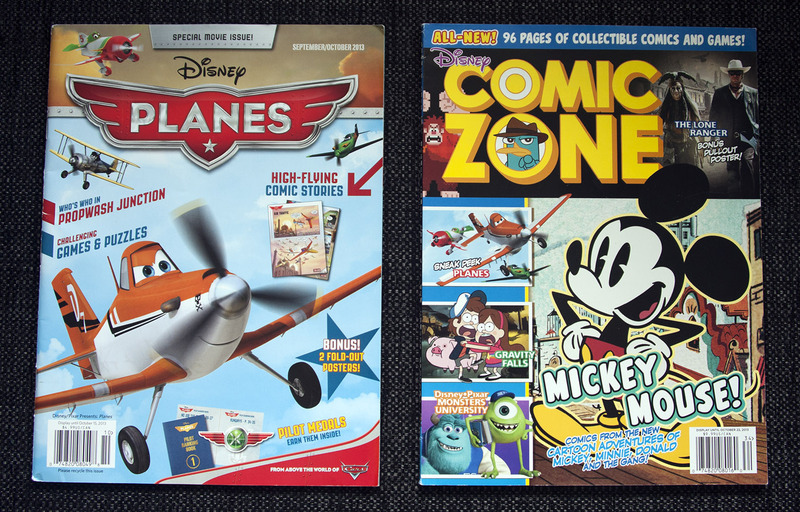 In the USA at least one of the "Disney/Pixar Presents" magazines (started up by Marvel, continued by Disney Children’s Magazines) was dedicated to Planes. 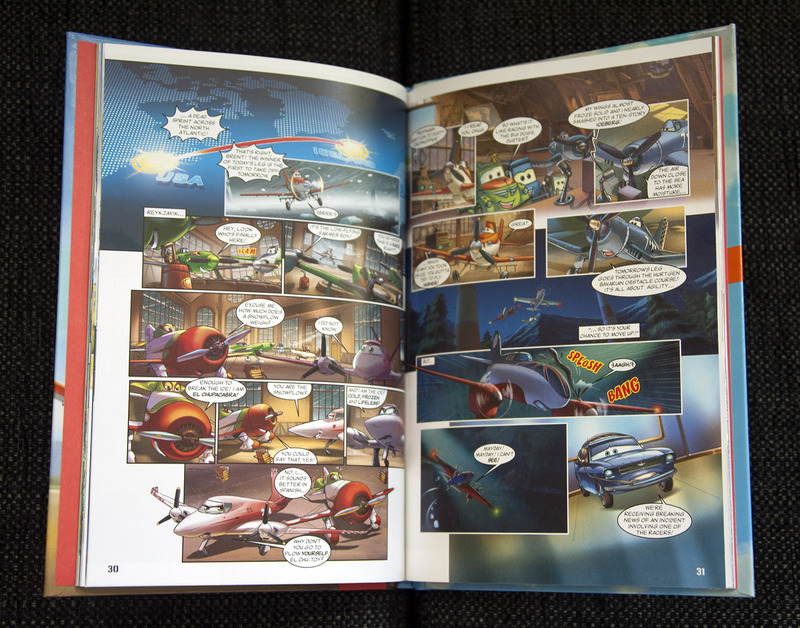 And another original comic story was printed in the short-lived attempt to start up Comic Zone again. But even more are published in Europe. And if you want more Disney comics from Papercutz, they have been publishing Disney Fairies comics since 2010. Duck version of "Three Billy Goats Gruff"